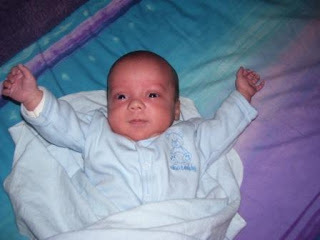 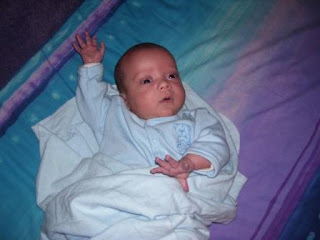 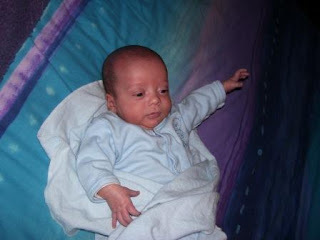 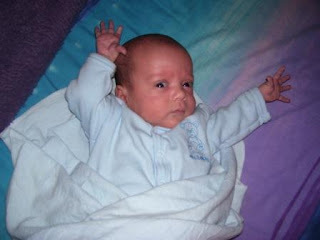 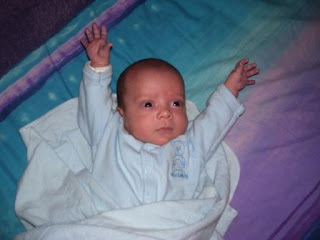 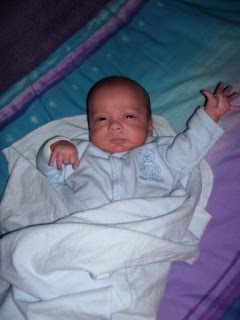 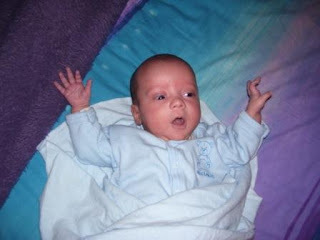 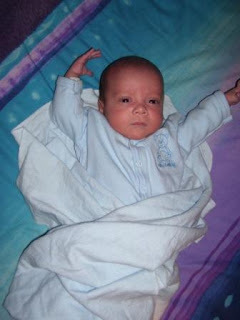 Marcia it looks like he is on a roller coaster ride waving his hands above his head.!!!!!!!! 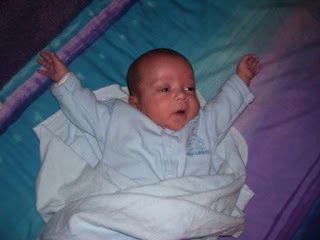 Whee!!!!!!!!! 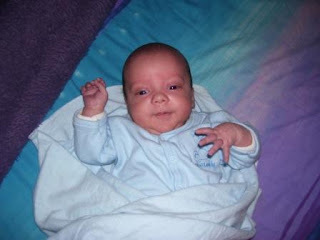 How do you handle two babies at once?